Blockchain has gained immense popularity, and business owners are trying to identify its use cases in their industries. Lending seems to another prominent sector that could gain benefits from blockchain. And why not, the distributed ledger technology offers substantial benefits like better transparency, higher security through cryptography and hashing data. 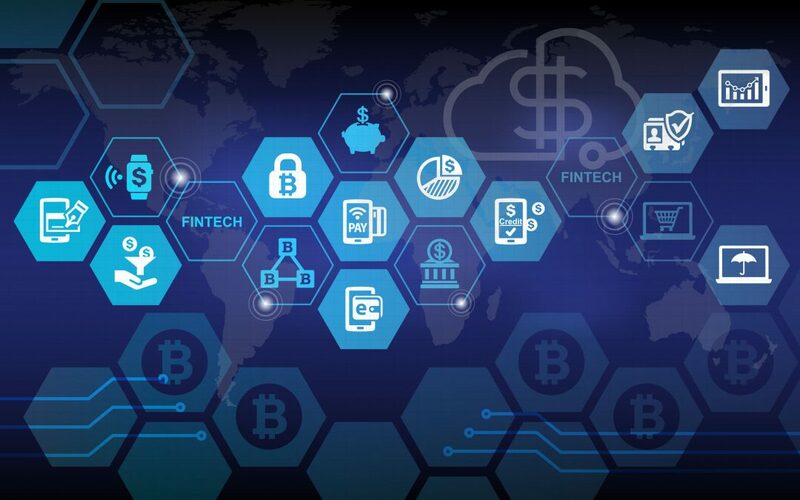 To gain these immense benefits, companies are working overtime to see how blockchain technology can simplify the lending sector. But, is blockchain the technology that can revolutionize lending? Let’s get deeper into blockchain and find the answer. Here is a basic definition to start with – Blockchain is a distributed and immutable ledger technology that can store transactions and anything that has value in blocks cryptographically. The data is tamper-proof and can be viewed only by people who are in the network and have permission (permissioned blockchain). All network participants share the same copy of the block which is constantly updated throughout the network. This greatly enhances transparency on the network as every participant is aware of the transactions made in the blockchain. All transactions in blockchain are approved, encrypted and linked to previous transactions to make them more secure and difficult to hack by cyber heists. When records are maintained on the blockchain, the network makes an audit trail that makes it super easy to track the origin of data or transactions made. Removing all the mundane paperwork and time-consuming processes, blockchain ensures faster and efficient transactions. Blockchain has made intermediaries redundant by offering a trusted platform where people can securely exchange funds. As blockchain is immutable and almost unhackable, no central authority is required to maintain trust between the parties getting into a lending agreement. It also avoids the need for physical verification of every transaction and invoice. Every time a transaction takes place in the blockchain, the values are stored in blocks after the validation from a required number of nodes. The transaction then remains in a tamperproof block and can act as a binding contract in itself. That means, once the transaction has been added and validated on blockchain – (1) the lender cannot alter the data for sordid benefits; (2) the borrower is obliged to repay the loan amount at the agreed rate of interest and duration. KYC or know your customer has become an inseparable part of lending. Once the lending platform receives a new customer and authenticates their identity, the platform can save KYC documents on blockchain which can never be tempered. This way, other authorities can also use the information without needing to repeat the process. Transparency throughout the lending procedure plays a crucial role for both lenders and borrowers. Every transaction and user information on the distributed ledger will help borrowers to make informed loan decisions offering them a better borrowing experience. Meanwhile, lenders will have clear data about where, to whom and at what rate their money has been invested. Blockchain can drastically streamline operations for the swift lending experience. The technology can take off both risk and expenses included due to intermediaries and enables more empowerment for lenders and borrowers to control their transactions in a peer to peer fashion. Adds trust between both the parties. Significantly reduces the chances of fraudulent activities. Simplifies the KYC process for lending businesses as a whole. Removes the need for intermediaries to save time and expenses. Although with such great benefits, blockchain is not the only technology that can revolutionize lending. Many emerging techs like AI, ML, and Big Data have proven their worth in the lending market. Read here how technology and automation are shaping the new digital lending industry. Changing the whole lending industry is not an easy task when changes are required in the whole of the existing system. However, blockchain could be a key driver in bringing that change in the industry. The only question remains is when businesses would start adopting digitization and implement innovation in their core functions?